All transactions are safe and secure with a reliable history in online purchasing behind each of our associates. 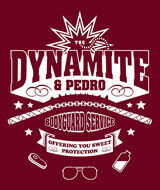 Buy Napoleon Dynamite t-shirts including the Vote for Pedro t-shirt. 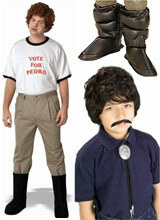 Browse Napoleon costumes. Directed by Jared Hess, the Napoleon Dynamite movie tells the story of a teenager named Napoleon, whose uncle comes to stay with he and his brother after their grandmother breaks her tailbone riding an ATV. Uncle Rico's presence has a chaotic effect on their lives, nearly ruining Napoleon's relationship with his new friend Deb. 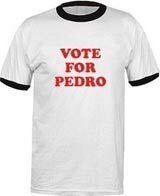 Below, we present a selection of flippin' sweet Napoleon Dynamite t-shirts that includes the familiar Vote for Pedro t-shirt, inspired by Pedro's campaign to become class president. 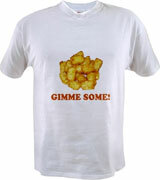 Other tees include the Napoleon Dynamite Liger shirt and the gimme some tots tee. 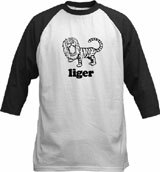 Celebrate the movie that made moon boots and tetherball cool again. 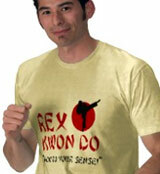 Also, browse additional merchandise, such as Napoleon Dynamite costumes, wigs, moon boots, hats and other apparel. 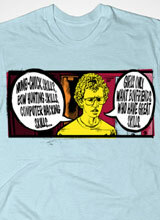 This Napoleon Dynamite tee is available in eight different colors, including black, maroon, and brown. 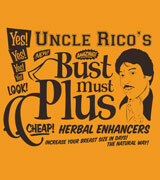 The front of the tee features a cool Napoleon Dynamite quote from the movie. When a kid on Napoleon's bus asks him what he's going to do today, Napoleon replies, "Whatever I feel like I wanna do, Gosh!" 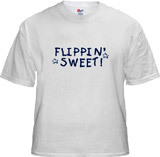 Wear this T as part of a flippin' sweet Napoleon Dynamite costume. 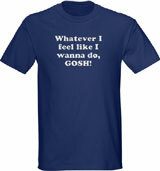 Link to: Whatever I feel like I wanna do, GOSH!